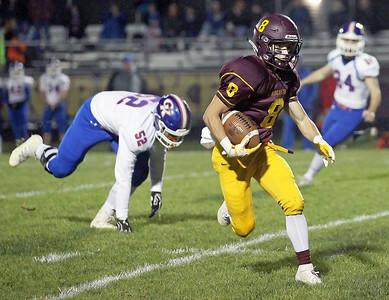 Candace H. Johnson-For Shaw Media Richmond-Burton's Matthew Kortan (#8) runs the ball against Genoa-Kingston in the first quarter at Richmond-Burton High School. 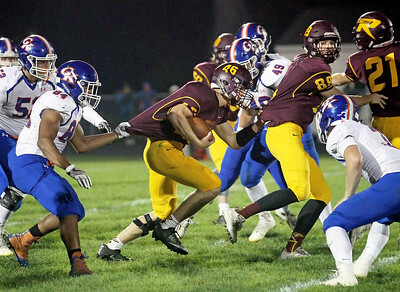 Candace H. Johnson-For Shaw Media Richmond-Burton's Michael Kaufman (#46) tries to break the tackle attempt by Genoa-Kingston's Jayson Szczepanski (#84) in the first quarter at Richmond-Burton High School. 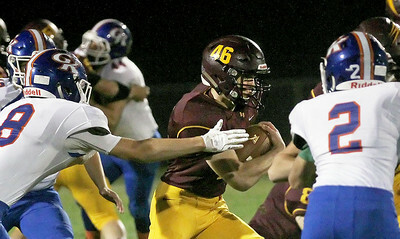 Candace H. Johnson-For Shaw Media Richmond-Burton's Michael Kaufman (#46) looks to escape the tackle attempt by Genoa-Kingston's Dylan Kribs (#8) in the first quarter at Richmond-Burton High School. 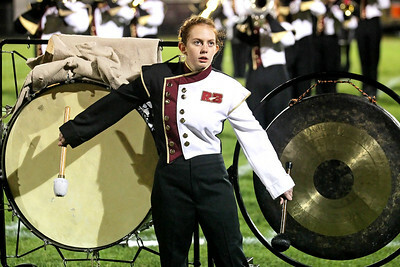 Candace H. Johnson-For Shaw Media Richmond-Burton's Olivia Davis, 16, plays the bass drum and the gong at half-time with the Rocket Marching Band during the varsity football game against Genoa-Kingston at Richmond-Burton High School. 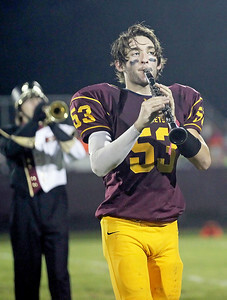 Candace H. Johnson-For Shaw Media Richmond-Burton's Dom Rivas, 17, plays the clarinet at half-time with the Rocket Marching Band during the varsity football game against Genoa-Kingston at Richmond-Burton High School. 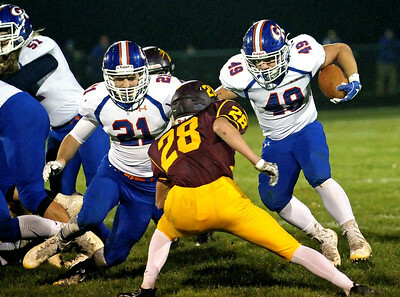 Candace H. Johnson-For Shaw Media Genoa-Kingston's Jackson Ebel (#49) looks to get around the tackle attempt by Richmond-Burton's Payton Minzey in the first quarter at Richmond-Burton High School. 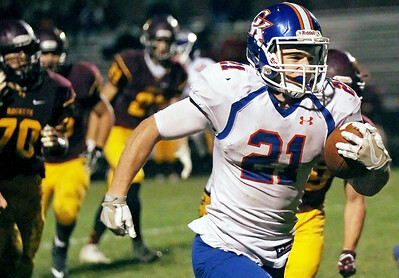 Candace H. Johnson-For Shaw Media Genoa-Kingston's Payton Phillips runs the ball against Richmond-Burton in the fourth quarter at Richmond-Burton High School. 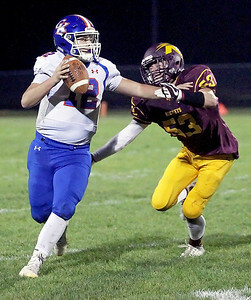 Candace H. Johnson-For Shaw Media Genoa-Kingston's quarterback, Griffin Hansen, looks to make a pass against Richmond-Burton's Dom Rivas in the second quarter at Richmond-Burton High School. 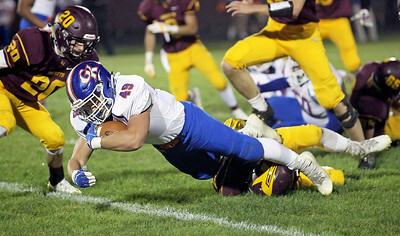 Candace H. Johnson-For Shaw Media Genoa-Kingston's Jackson Ebel gets tackled by Richmond-Burton's Dalton Wood in the first quarter at Richmond-Burton High School. 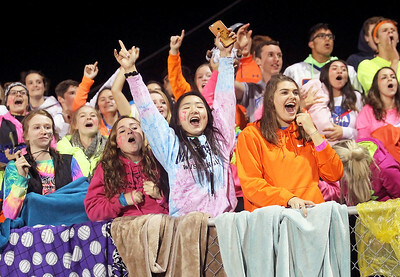 Candace H. Johnson-For Shaw Media Genoa-Kingston Superfans Jadalee Snyder, Hailey Thurlby, and Jeanette Brann, all 17, cheer on their varsity football team as they play against Richmond-Burton in the third quarter at Richmond-Burton High School. Genoa-Kingston's Jackson Ebel (#49) looks to get around the tackle attempt by Richmond-Burton's Payton Minzey in the first quarter at Richmond-Burton High School.